Shiok! & Awe - A Magic & Comedy Experience stars Adrian Saw, an award-winning magician who brings the magic…without the rabbits. 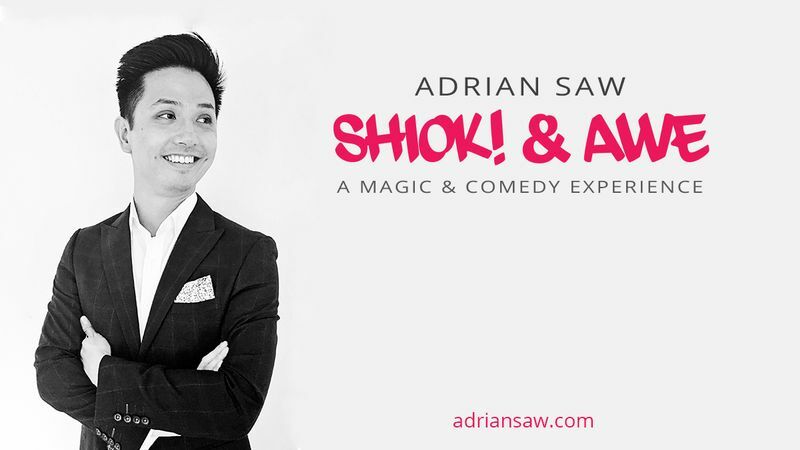 Blending comedy, sleight of hand, psychology and audience participation, Adrian performs hilarious and impossible illusions in an intimate experience. Also featuring the hysterical stand-up comedy of Sam See and Artur Akhmetzyanov. Shiok! & Awe is Singapore’s only recurring magic and comedy show, appearing monthly at The Merry Lion Comedy Club.